The Persian Corridor was a supply route through Iran into Soviet Azerbaijan by which British aid and American Lend-Lease supplies were transferred to the Soviet Union during World War II. 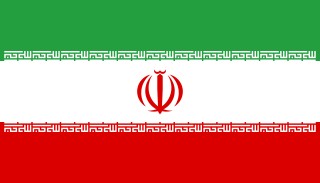 Iran, also called Persia and officially known as the Islamic Republic of Iran, is a country in Western Asia. With over 81 million inhabitants, Iran is the world's 18th most populous country. Comprising a land area of 1,648,195 km2 (636,372 sq mi), it is the second largest country in the Middle East and the 17th largest in the world. Iran is bordered to the northwest by Armenia and the Republic of Azerbaijan, to the north by the Caspian Sea, to the northeast by Turkmenistan, to the east by Afghanistan and Pakistan, to the south by the Persian Gulf and the Gulf of Oman, and to the west by Turkey and Iraq. The country's central location in Eurasia and Western Asia, and its proximity to the Strait of Hormuz, give it geostrategic importance. Tehran is the country's capital and largest city, as well as its leading economic and cultural center. This supply route originated in the US and UK with ships sailing around the Cape of Good Hope to the Persian Gulf. From there, the materiel transited Iran to the USSR. Other supply routes included the Northern route across the Arctic, and the Pacific route which handled US cargo at Vladivostok and then used the Trans-Siberian Railway across the USSR. The Cape of Good Hope is a rocky headland on the Atlantic coast of the Cape Peninsula in South Africa. 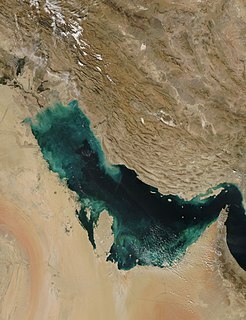 The Persian Gulf, is a mediterranean sea in Western Asia. The body of water is an extension of the Indian Ocean through the Strait of Hormuz and lies between Iran to the northeast and the Arabian Peninsula to the southwest. The Shatt al-Arab river delta forms the northwest shoreline. This Persian Route became the only viable, all-weather route to be developed to supply Soviet needs. In the Western world, Persia was historically the common name for Iran. On the Nowruz of 1935, Reza Shah Pahlavi asked foreign delegates to use the term Iran, the endonym of the country, in formal correspondence. Since then, in the Western World, the use of the word "Iran" has become more common. This also changed the usage of the terms for Iranian nationality, and the common adjective for citizens of Iran changed from "Persian" to "Iranian". In 1959, the government of Mohammad Reza Shah Pahlavi, Reza Shah Pahlavi's son, announced that both "Persia" and "Iran" could officially be used interchangeably. However the issue is still debated today. Sir Winston Leonard Spencer-Churchill, was a British politician, army officer, and writer. 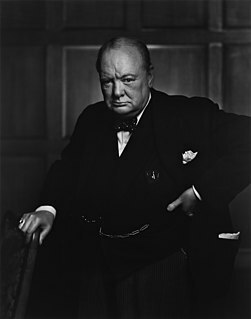 He was Prime Minister of the United Kingdom from 1940 to 1945, when he led Britain to victory in the Second World War, and again from 1951 to 1955. Churchill represented five constituencies during his career as a Member of Parliament (MP). Ideologically an economic liberal and British imperialist, for most of his career he was a member of the Conservative Party, which he led from 1940 to 1955, but from 1904 to 1924 was instead a member of the Liberal Party. 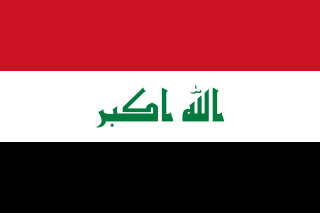 Iraq, officially known as the Republic of Iraq, is a country in Western Asia, bordered by Turkey to the north, Iran to the east, Kuwait to the southeast, Saudi Arabia to the south, Jordan to the southwest and Syria to the west. The capital, and largest city, is Baghdad. Iraq is home to diverse ethnic groups including Arabs, Kurds, Assyrians, Turkmen, Shabakis, Yazidis, Armenians, Mandeans, Circassians and Kawliya. Around 95% of the country's 37 million citizens are Muslims, with Christianity, Yarsan, Yezidism and Mandeanism also present. The official languages of Iraq are Arabic and Kurdish. Following Germany's invasion of the USSR in June 1941, Britain and the Soviet Union became allies. Britain and the USSR saw the newly opened Trans-Iranian Railway as an attractive route to transport supplies from the Persian Gulf to the Soviet Union. Britain and the USSR used concessions extracted in previous interventions to pressure Iran (and, in Britain's case, Iraq) into allowing the use of their territory for military and logistical purposes. Increased tensions with Britain led to pro-German rallies in Tehran. In August 1941, because Reza Shah refused to expel all German nationals and come down clearly on the Allied side, Britain and the USSR invaded Iran, arrested the monarch and sent him into exile to South Africa, taking control of Iran's communications and the coveted railway. 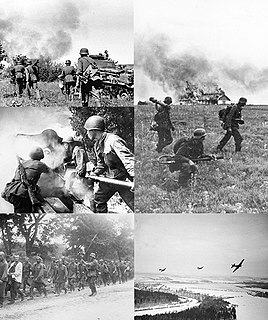 Operation Barbarossa was the code name for the Axis invasion of the Soviet Union, which started on Sunday, 22 June 1941, during World War II. The operation stemmed from Nazi Germany's ideological aims to conquer the western Soviet Union so that it could be repopulated by Germans, to use Slavs as a slave-labour force for the Axis war effort, and to seize the oil reserves of the Caucasus and the agricultural resources of Soviet territories. The Trans-Iranian Railway was a major railway building project started in 1927 and completed in 1938, under the direction of the Persian monarch, Reza Shah, and entirely with indigenous capital. It links the capital Tehran with the Persian Gulf and Caspian Sea. The railway connected Bandar Shah in the north and Bandar Shahpur in the south via Ahvaz, Ghom and Tehran. 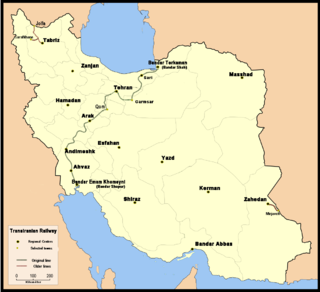 During the land reforms implemented by Mohammad Reza Shah in 1963 as part of the "White Revolution" the Trans-Iranian railway was extended to link Tehran to Mashhad, Tabriz, and Isfahan. Reza Shah Pahlavi, commonly known as Reza Shah, was the Shah of Iran from 15 December 1925 until he was forced to abdicate by the Anglo-Soviet invasion of Iran on 16 September 1941. Alliances during the Second World War & The invasion of neutral Iran, 1939-1945. 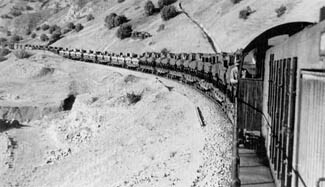 In 1942 the United States, now an ally of Britain and the USSR in World War II, sent a military force to Iran to help maintain and operate sections of the railway. The British and Soviet authorities allowed Reza Shah's system of government to collapse, and they limited the constitutional government interfaces. They installed Reza Shah's son, Mohammad Reza Pahlavi onto the Iranian/Persian throne. Mohammad Reza Pahlavi, also known as Mohammad Reza Shah, was the last Shah of Iran from 16 September 1941 until his overthrow by the Islamic Revolution on 11 February 1979. Mohammad Reza Shah took the title Shahanshah on 26 October 1967. He was the second and last monarch of the House of Pahlavi. Mohammad Reza Shah Pahlavi held several other titles, including that of Aryamehr and Bozorg Arteshtaran ("Commander-in-Chief"). His dream of what he referred to as a "Great Civilisation" in Iran led to a rapid industrial and military modernisation, as well as economic and social reforms. The new Shah soon signed an agreement pledging full non-military logistical cooperation with the British and Soviets, in exchange for full recognition of his country's independence, and also a promise to withdraw from Iran within six months of the war's conclusion (these assurances later proved essential in securing his country's independence after the war). In September 1943, the Shah went further, and he declared war on Germany. He signed the Declaration by United Nations entitling his country to a seat in the original United Nations. Two months later, he hosted the Tehran Conference between Churchill, Roosevelt, and Stalin. The Iran crisis of 1946, also known as the Azerbaijan Crisis by Iranian people, was one of the first crises of the Cold War, sparked by the refusal of Joseph Stalin's Soviet Union to relinquish occupied Iranian territory, despite repeated assurances. The end of World War II should have resulted in the end of the Allied joint occupation of Iran. Instead, Pro-Soviet Iranians proclaimed the separatist Azerbaijan People's Government and the Kurdish separatist Republic of Mahabad. The United States pressured Soviet withdrawal in the earliest success of the new containment strategy. Declaration by United Nations was the main treaty that formalized the Allies of World War II; the declaration was signed by 47 national governments between 1942 and 1945. The original signatories on 1–2 January 1942, at the Arcadia Conference in Washington, D.C. On New Year's Day 1942, the Allied "Big Four" signed a short document which later came to be known as the United Nations Declaration and the next day the representatives of twenty-two other nations added their signatures. The United Nations (UN) is an intergovernmental organization that was tasked to maintain international peace and security, develop friendly relations among nations, achieve international co-operation and be a centre for harmonizing the actions of nations. The headquarters of the UN is in Manhattan, New York City, and is subject to extraterritoriality. Further main offices are situated in Geneva, Nairobi, and Vienna. The organization is financed by assessed and voluntary contributions from its member states. Its objectives include maintaining international peace and security, protecting human rights, delivering humanitarian aid, promoting sustainable development and upholding international law. The UN is the largest, most familiar, most internationally represented and most powerful intergovernmental organization in the world. In 24 October 1945, at the end of World War II, the organization was established with the aim of preventing future wars. 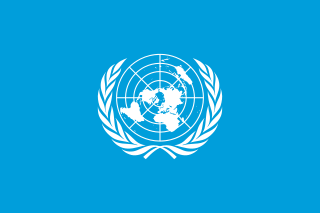 At its founding, the UN had 51 member states; there are now 193. The UN is the successor of the ineffective League of Nations. The presence of so many foreign troops in Iran accelerated social change and it roused nationalist sentiment in the country. In 1946, Hossein Gol-e-Golab published the nationalist song Ey Iran ; it was reportedly inspired by an incident during the war in which Golab witnessed an American GI beating up a native Iranian greengrocer in a marketplace dispute. After the British were pushed off the continent, Germany was essentially without any opposition in Europe. British and American leaders sought to eventually establish another front opened up to engage the German military. In June 1941 Hitler launched the invasion of the USSR. The western Allies made the strategic decision to provide Stalin with significant material support to ensure that the USSR could continue to engage a significant portion of the German military. Agreements were created (protocols) which clearly defined the type and amount of materiel that would be delivered within a given time frame. Due to German military action on the Northern route and the fact that it could not be traversed during part of the year, the US was unable to meet the demands of the first protocol. This caused increasing pressure on the Allies to develop the route using the Persian Corridor. The Allies delivered all manner of materiel to the Soviet Union ranging from Studebaker US6 trucks to American canned food. Most of the supplies transiting through the Persian Corridor arrived by ship at various ports in the Persian Gulf and were then carried northwards by railroad or in long truck convoys. Some goods were later reloaded onboard ships to cross the Caspian Sea and others continued their journey by truck. The United States Army forces in the corridor were originally under the Iran-Iraq Service Command - later renamed the Persian Gulf Service Command (PGSC). This was the successor to the original United States Military Iranian Mission, which had been put in place to deliver Lend-Lease supplies before the United States had entered the World War. The mission was originally commanded by Colonel Don G. Shingler, who was then replaced late in 1942 by Brigadier General Donald H. Connolly. Both the Iran-Iraq Service Command and the PGSC were subordinate to the U.S. Army Forces in the Middle East (USAFIME). PGSC was eventually renamed simply the Persian Gulf Command. The Allied supply efforts were enormous. The Americans alone delivered over 16.3 million tonnes to the Soviets during the war, via three routes, including the Arctic Convoys to the ports of Murmansk and Archangelsk. Also, Soviet shipping carried supplies from the west coast of the United States and Canada to Vladivostok in the Far East, since the Soviet Union was not at war with Japan until August 1945. The Persian Corridor was the route for 4,159,117 long tons (4,225,858 metric tonnes) of this cargo. However, this was not the only allied contribution via the Persian Corridor. About 7,900,000 long tons (8,000,000 metric tonnes) of shipborne cargo from Allied sources were unloaded in the Corridor, most of it bound for the USSR - but some of it for British forces under the Middle East Command, or for the Iranian economy, which was sustaining the influx of tens of thousands of foreign troops and Polish refugees. Also, supplies were needed for the development of new transportation and logistics facilities in Persia and in the Soviet Union. The tonnage figure does not include transfers of warplanes via Persia. Supplies came from as far away as Canada and the United States, and those were unloaded in Persian Gulf ports in Iran and Iraq. Once the Axis powers were cleared from the Mediterranean Sea in 1943 - with the Allied capture of Tunisia, Sicily, and southern Italy - cargo convoys were able to pass through the Mediterranean, the Suez Canal, and the Red Sea to Iran for shipment to the USSR. The main port for outbound supplies (via the Caspian Sea) was Nowshahr. Ships ferried supplies from this port to Baku or Makhachkala. Cargo was principally handled by special British and American transportation units from the nations' respective combat service support branches, such as the Royal Army Service Corps and the United States Army Quartermaster Corps. Many Allied civilian workers, such as stevedores and railway engineers, were also employed on the corridor. Many skilled engineers, accountants and other professionals who volunteered or were drafted into the armed services were made warrant officers to help oversee the complex supply operations. Train going along a gorge through a winding route somewhere in Iraq. ↑ "THEY HELPED- RUSSIA TO VICTORY". The Port Macquarie News and Hastings River Advocate (NSW : 1882 - 1950) . NSW: National Library of Australia. 28 April 1945. p. 4. Retrieved 25 May 2013. Wikimedia Commons has media related to Persian Corridor . Coakley, Robert W. (2000) . "Chapter 9: The Persian Corridor as a Route for Aid to the USSR". In Greenfield, Kent Roberts. Command Decisions. Washington: United States Army Center of Military History. CMH Pub 72-7. Motter, T.H. Vail (2000) . The Persian Corridor and Aid To Russia. Washington: United States Army Center of Military History. CMH Pub 8-1. The Pahlavi dynasty was the last ruling house of the Imperial State of Iran from 1925 until 1979, when the 2,500 years of continuous Persian monarchy was overthrown and abolished as a result of the Iranian Revolution. The dynasty was founded by Reza Shah Pahlavi in 1925, a former brigadier-general of the Persian Cossack Brigade, whose reign lasted until 1941 when he was forced to abdicate by the Allies after the Anglo-Soviet invasion of Iran. He was succeeded by his son, Mohammad Reza Pahlavi, the last Shah of Iran. Hormozgan Province is one of the 31 provinces of Iran. It is in the south of the country, in Iran's Region 2, facing Oman and UAE. Its area is 70,697 km2 (27,296 sq mi), and its provincial capital is Bandar Abbas. The province has fourteen islands in the Persian Gulf and 1,000 km (620 mi) of coastline. The Islamic Republic of Iran Army Ground Forces, acronymed NEZAJA is the ground forces of the Islamic Republic of Iran Army. United States Army Forces in the Middle East(USAFIME) was a unified United States Army command during World War II established in August, 1942 by order of General George Marshall to oversee the Egypt-Libya Campaign. Bandar-e Emam Khomeyni is a city and capital of Bandar-e Emam Khomeyni District of Mahshahr County, Khuzestan Province, Iran. At the 2006 census, its population was 67,078, in 14,681 families. The history of the Iranian Air Force can be divided into two phases—before the Islamic Revolution, and after it. Relations between the Grand Duchy of Moscow and the Persian Empire (Iran), officially commenced in 1521, with the Safavids in power. Past and present contact between Russia and Iran have long been complicatedly multi-faceted; often wavering between collaboration and rivalry. The two nations have a long history of geographic, economic, and socio-political interaction. Since then, mutual relations have often been turbulent, and dormant at other times. Currently Russia acts as an economic partner to Iran, a country under severe sanctions by much of the Western world. With thousands of years of recorded history, and due to an unchanging geographic condition, Iran has had a long, varied, and checkered military culture and history, ranging from triumphant and unchallenged ancient military supremacy affording effective superpower status in its day, to a series of near catastrophic defeats at the hand of previously subdued and conquered peripheral nations. The Islamic Republic of Iran Railways is the national state-owned railway system of Iran. The Raja Passenger Train Company is an associate of the IR, and manages its passenger trains. The Railway Transportation Company is an associate of the IR to manage its freight transport. The Ministry of Roads & Urban Development is the state agency that oversees the IRIR. Some 33 million tons of goods and 29 million passengers are transported annually by the rail transportation network, accounting for 9 percent and 11 percent of the whole transportations in Iran (2011). The Community school was founded as a boarding school in Tehran, Iran, for the children of Presbyterian missionaries from the United States who were stationed in Iran since the 1830s. In the late 1940s, the school moved from its location at Qavām os-Saltaneh Street to Kucheh Marizkhaneh near Jaleh Street until the summer of 1979 when it was permanently shut down by the new Islamic government. after the revolution the school was renamed Modares Shahed school which is now reserved for the children of the war veterans. The Persian Gulf Command was a United States Army service command established in December 1943 to assure the supply of U.S. lend-lease war material to the Soviet Union. Its history originated in September 1941, when the U.S. Military Iranian Mission led by Engineer officer COL Raymond A. Wheeler was established to facilitate lend-lease supply to the U.S.S.R. At this same time, the Iranian District of the North Atlantic Division was set up to provide construction support. In August 1942 the mission was re-designated as the Persian Gulf Service Command, and in December 1943 became the Persian Gulf Command. It subsequently came under the command of a succession of engineer generals. Following the War Department’s full militarization of construction, the Iranian District ceased to exist in May 1943. Three districts directly subordinate to the area command eventually replaced it. Eventually thousands of personnel worked in Iraq as well. The Persian Campaign or Invasion of Persia also known as Invasion of Iran was a series of engagements in Iranian Azerbaijan and western Iran (Persia) involving the forces of the Ottoman Empire against those of the British Empire and Russian Empire, and also involving local population elements, beginning in December 1914 and ending with the Armistice of Mudros on October 30, 1918 as part of Middle Eastern theatre of World War I. The policy of the Soviet Union towards the Iran–Iraq War of 1980 to 1988 varied, beginning with a stance of "strict neutrality" and moving towards massive military support for Iraq in the final phase of the war. The war was inconvenient for the USSR, which had aimed to ally itself with both Iran and Iraq. In the first period of the war, the Soviets declared a policy of "strict neutrality" towards the two countries, at the same time urging a negotiated peace. Iraq had been an ally for decades and the Soviets now tried to win over Iran as well, but their offers of friendship were rebuffed by the pro-Western Shah of Iran. After the Iranian revolution an Islamic Republic was established whose slogan was "neither East nor West". In 1982, the war turned in Iran's favour and the Iranian leader Ayatollah Khomeini pledged not to stop the conflict until he had overthrown the Iraqi president Saddam Hussein. Such a prospect was unacceptable to the Soviet Union which now resumed arms sales to Iraq while still maintaining an official policy of neutrality. The Soviets also feared losing Saddam's friendship to the West. After further Iranian gains in 1986, the Soviet Union massively increased its military aid to Iraq. The Soviets were now afraid of the Iranians encouraging Islamic revolution in Central Asia. Soviet aid allowed the Iraqis to mount a counteroffensive which brought the war to an end in August, 1988. 1921 Persian coup d'état, known in Iran as 3 Esfand coup d'état, refers to several major events in Persia in 1921, which eventually led to the establishment of the Pahlavi dynasty as the ruling house of the country in 1925. The Anglo-Soviet invasion of Iran, also known as the Anglo-Soviet invasion of Persia, was the joint invasion of Iran in 1941 during the Second World War by the British Commonwealth and the Soviet Union. The invasion lasted from 25 August to 17 September 1941 and was codenamed Operation Countenance. Its purpose was to secure Iranian oil fields and ensure Allied supply lines for the USSR, fighting against Axis forces on the Eastern Front. Though Iran was neutral, the Allies considered Reza Shah to be friendly to Germany, deposed him during the subsequent occupation and replaced him with his young son Mohammad Reza Pahlavi. Azerbaijan, officially by its full name – the Azerbaijan Soviet Socialist Republic, entered World War II alongside the Soviet Union, after the German declaration of war on June 22, 1941. Azerbaijan's oilfields were enticing to the Germans due to the USSR's heavy dependency on Caucasus oil – setting the scene for German campaigns attempting to capture and seize the oilfields in Baku during the Battle of the Caucasus. More than 600,000 people from Azerbaijan were conscripted to the Workers’ and Peasants’ Red Army during World War II from 1941 to 1945. In the second half of the 19th century, during the time of Nasser-al-Din Shah, a short horse-driven suburban railway was established south of Tehran that was later converted to steam. This line was closed in 1952.